What can you say about the sleepy village of Godshill ? It’s a beautifully kept journey into the past. You’ll find original country cottages complete with thatched roofs. But look past the quaint façade, and you’ll discover quite a deep dark secret ! Take a look at the pictures below, and see if you can spot anything out of the ordinary..
Hmmm… didnt see anything ? – lets have a more closer look..
One of the cottages is actually called ‘The Bats Wings’ – bit of a giveaway that one. 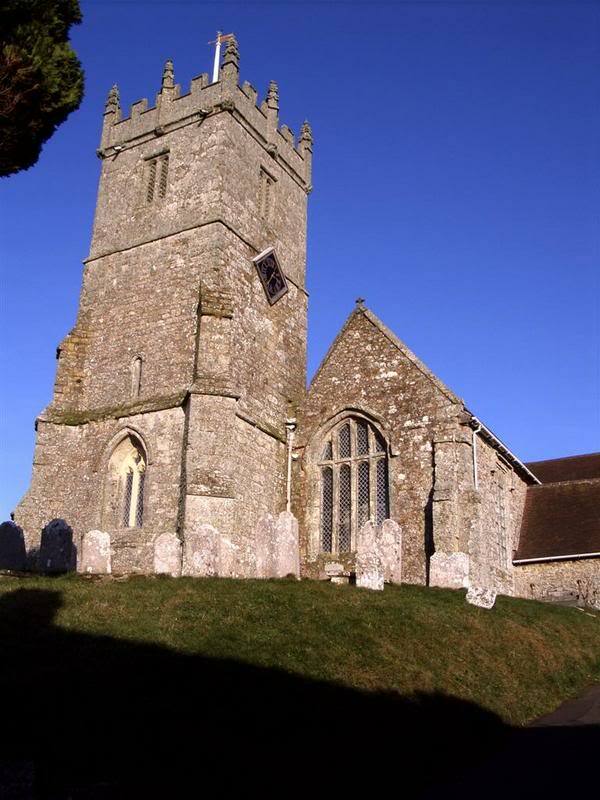 When visiting Godshill, you cant help but notice the lovely church – high on the hill above the village. But this church is cloaked in a myth of its own.. Originally the church was to be built within the village, footings where dug ready for construction – and that’s where the trouble started.. Every morning the workmen would report onsite, ready to being the days work. One problem.. their tools would not be where they place them the night before !. Someone must be playing a joke on them, night watchmen where employed to keep any stays away from the site – but by morning the tools would still have disappeared, or moved location. By now the construction workers where becoming more than a little frightened, it was rumoured that bad magic was involved. ON TOP OF THE HILL !, yes.. where the church is now positioned – is where the items where found. As incredible as it sounds, something wanted the church built on top of the hill – so that’s where they finally built it. 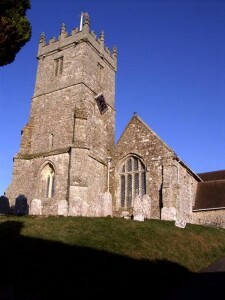 A visit to the church is a must, you’ll find so many facts about the local village and the characters of Appuldurcombe. 4 members of the Worsley family are actually buried deep into the floor of the building. It is a lovely church – just like the village. if you get the chance, make sure you visit Godshill. …Only just keep one eye open, as you never know what you might see.